A very important factor in restoring marble floors is sealing, this is the process of protecting your marble floors from any unwanted staining. It’s best to seal your marble floors when you first have them installed in your home and after a deep clean every year. Marble is a natural stone with inner holes absorbs moisture which includes stains. 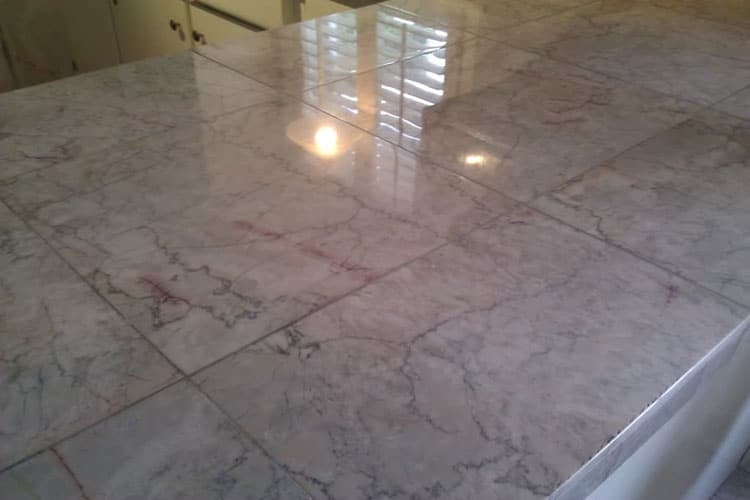 This is why sealing your marble floors during and after installation is important along with doing this yearly based on how much activity occurs in your home. Before beginning the sealing process, you should have your marble floors cleaned. Our technicians will never use acid cleaners to clean your floors because this can cause etching to your stone. After cleaning is completed, we’ll run a small test to compare sealer to use and make sure this doesn’t discolor your marble. The expert marble sealing technicians at Modern Stone are very knowledgeable about marble stones and sealants, understanding what materials to use and the amount need to get the refreshing new shine to your floors. It is highly recommended to have your marble floors sealed to protect your floors and maintaining its beauty for years to come. Modern Stone Care technicians will check your floors for any topical coatings (wax or polyurethanes) if so then it requires stripping process to remove and residue from the buildup occurring during the time frame of the topical coating. We carefully evaluate each stone to determine the right sealing application to use for your marble floors. Our goal with sealing is to clog the pours of the marble surface stopping foreign substances from entering the surface and causing stains. During the sealant process, we use solvent that will penetrate the marble surface which evaporates leaving solid reins behind. Doing this will tremendously prevent any harm to your floors. Find out more about Modern Stone Care marble floor sealing service and how this can enhance the appearance of your home with regular floor maintenance. Not only will your floors look amazing for now and will increase value of your home in the future. Contact the experts marble technicians at Modern Stone Care today.